The next time you wish to station yourself at a cafe over a cuppa or some savouries, think Mama Mia! The popular gelato destination has upgraded itself to a full-on cafe format serving beverages and food. They have done this at two of their addresses - Ballygunge and Alipore. The rainbow of gelatos remain, and so do the sundaes and pastries. What’s new is their cafe menu which includes sandwiches, toasties and an array of beverages, both hot and cold. 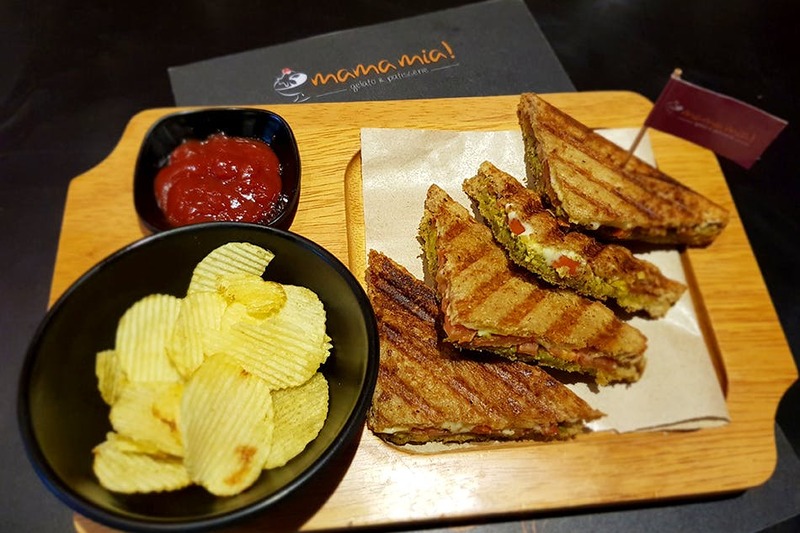 The toastie sections include Chilli Cheese Toastie (a fiery combo of green chillies, jalapenos and cheese), Olive & Cheese Melt (cheesy with freshly crushed black pepper and loads of green olives), Fresh Tomato and Pesto Toastie (tomatoes and basil pesto combined with cheese and black pepper) and Mom’s Homestyle Pizza Toastie (classic pizza sauce, olives, jalapeños, and sweet corn). If you are looking for something sweet, there’s OMG Nutella Toastie and Apple Pie Toastie. You can also enjoy a game of foosball with your squad and opt for a combo that comes with one savoury or sweet toastie and a beverage (coffee, tea, milkshake at an add-on price). This is only available at Mama Mia’s Ballygunge and Alipore outlet from 11am to midnight. Meal for two should be around INR 500.